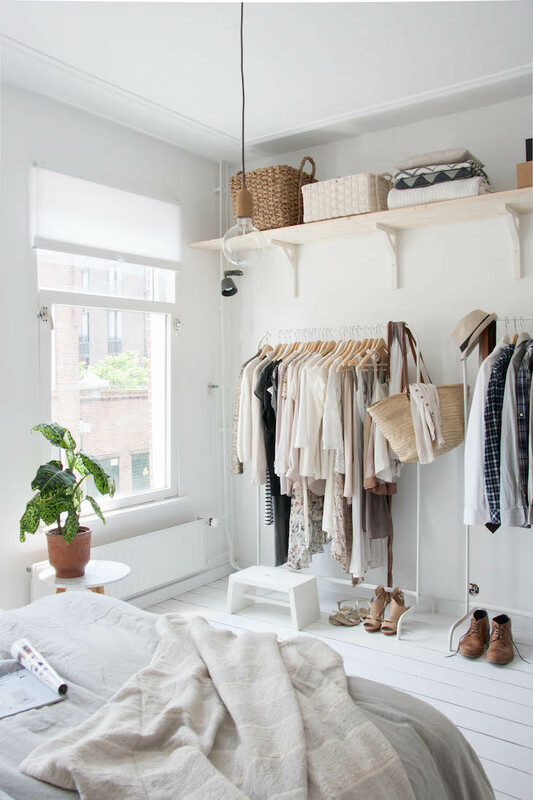 We all would love to have an extra room just for our clothes, shoes and accessories. However if you are not so lucky to have a walk-in closet there are several ways to create a similar design. With the growing trend to de-clutter and to make living more accessible and clear, open closet ideas by young interior designers became increasingly popular. 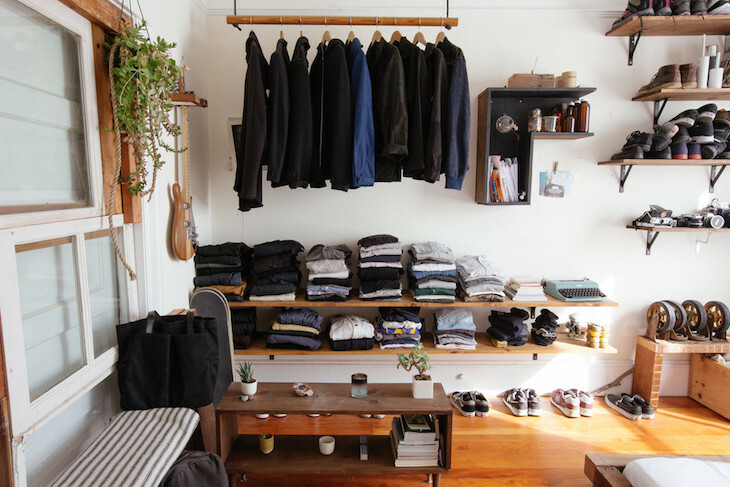 Instead of buying an expensive wall closet or wardrobe consider creating your own open storage. You can buy closet systems but it is fairly simple to build your very own as well. The idea behind an Open Closet is to arrange things in the space so it becomes an attractive and interesting display. Plan ahead, get rid of things you will never wear again, measure the space to see what will fit and choose your favorite design. We have selected ten gorgeous Open Closet Ideas to help you with the planning. Here is a unique way of displaying your favorite items. You can create a beautiful effect by hanging the colorful clothes in the middle, just behind your bed. It works perfectly with the otherwise neutral colors and the drawers provide plenty of storage. The wall-mounted shelving offers the perfect solution and flexibility to rearrange the layout any time you want. Let’s say, you found a gorgeous maxi-dress. You don’t need to worry where will it fit. With this system you can have a different display if you get bored with the old one. The metal standards, adjustable brackets and ready-made shelves are durable and very practical. What is the result of combining a 3 meter long scaffolding tube, IKEA Lack shelves and a filing cabinet? Well, as you can see on the photo: a trendy and cool open closet. The unstained wooden floor and the pendant lamp create a minimalist decor that blends with the industrial style of the metal tube and cabinet. Neutral colors, white floor and white walls make this room bright and open. A large wardrobe would have made the space feel much smaller. However with the clothes right out in the open the designer not only created something unique but also the space remained airy. 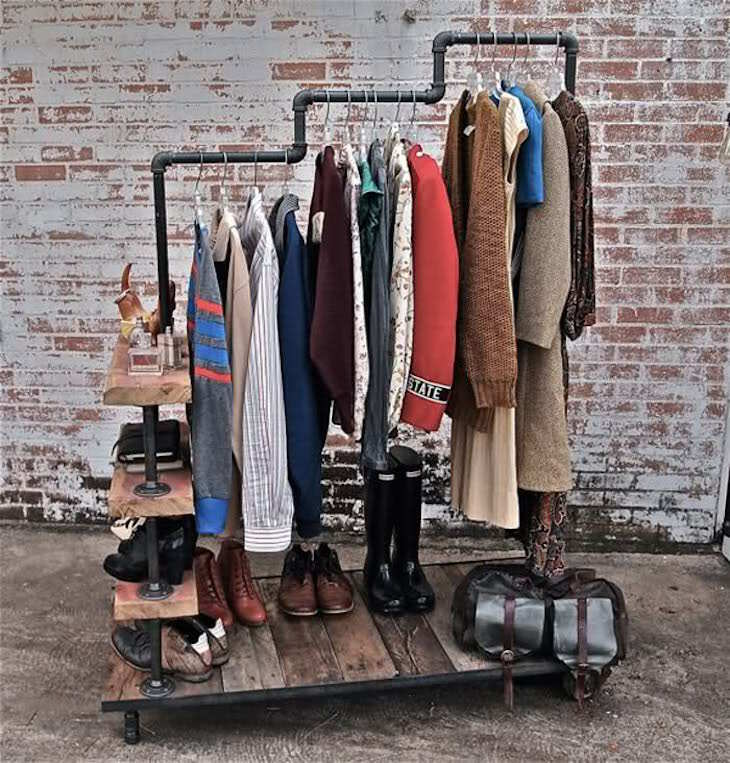 With a little creativity, DIY skills and some tools you can easily build your own clothing display. Use old pallets, metal pipes and wood to create a rustic effect. This will look great in simple, industrial style homes. The bottom part of the clothes rack will be perfect for shoes and bags. Even without a wardrobe or dresser you can have a bedroom looking like it’s straight out of some home & decor magazine. The secret is to keep your place organized. By mixing shelves with hanging clothes racks you can create a storage and display that fits perfectly to your needs (and clothes). Here is a stunning combination of functionality and artistry. The beautiful dark heavy wood brings style and character to the space and it looks gorgeous with the other items in the room. The large Persian carpet, mirror and stone floor are all in harmony with the neat and tidy open closet display. Display your clothes proudly with these IKEA shelves. Use your creativity and design your own open closet. If you are the shoe-person get those pretty pairs out of the drawer and turn them into a wall art. A clever tip when you have a small space to add more mirrors. Check out the one here on the photo how it makes the room feel bigger. 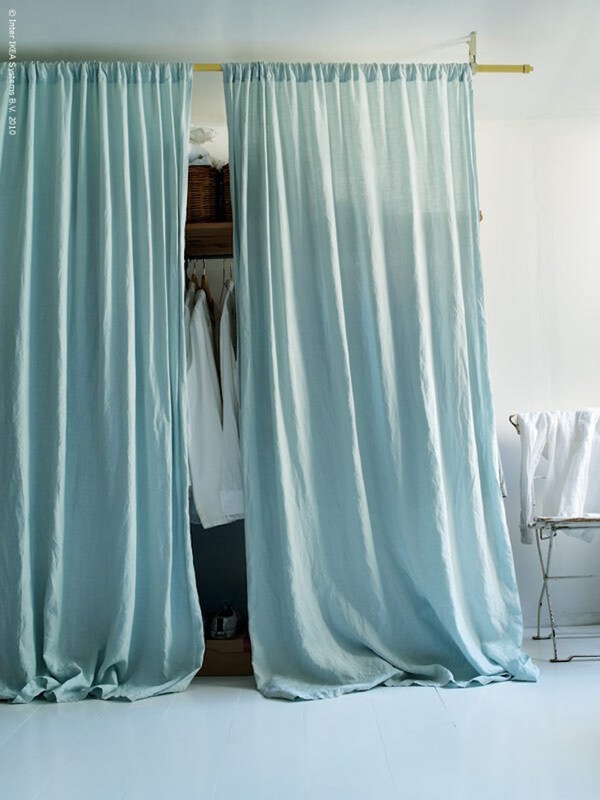 If you like the idea of an open closet but also would like to hide your clothes when you decide, you can install a long curtain. In this example, the white curtain functions almost like an accent wall. 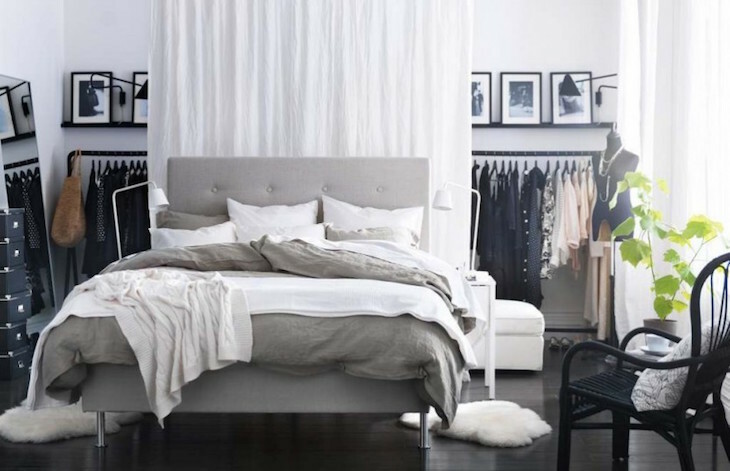 It creates a neutral background behind the bed bringing the attention to the beautiful grey tufted headboard. Similarly to the previous idea you can install a cabana or some curtains that will hide your stuff when you want them to be hidden. It happens every now and then that you feel your clothes deserve a little bit of privacy. Especially when you just haven’t had the time to arrange them nicely. A nice pastel fabric might just fit the bill.